Real reality is pretty awful these days, but you can temporarily escape it with a PlayStation VR headset, and Jet just went live with this year’s Black Friday deals. And yes, they’re real. 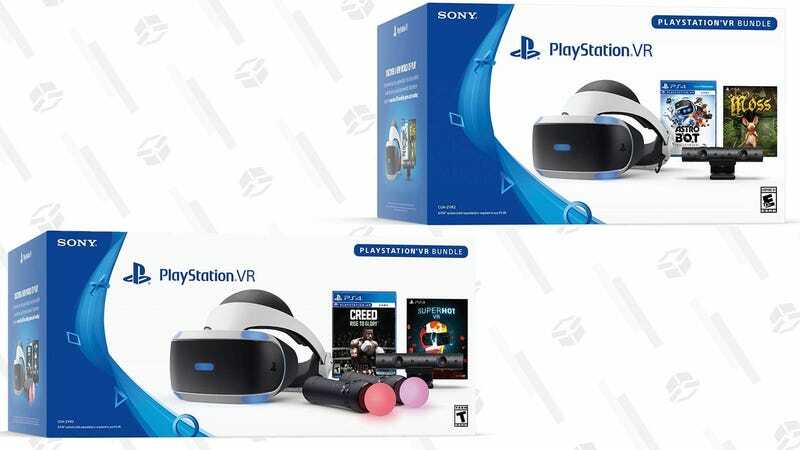 The one you should almost certainly get is the $250 bundle which includes Superhot, Creed: Rise to Glory, the required PlayStation camera, and a pair of Move controllers. It’s a top pick in our holiday gaming gift guide for a reason. Also available here, if Walmart sells out. For $50 less, you can also opt for a bundle with Astro Bot Rescue Mission and Moss. You don’t need the Move controllers for every VR game, but you need them for some, and they vastly improve the VR experience on others. Considering they sell for nearly $100 by themselves, you should probably buy the more expensive bundle. Are you now or have you ever been Todd Margaret?